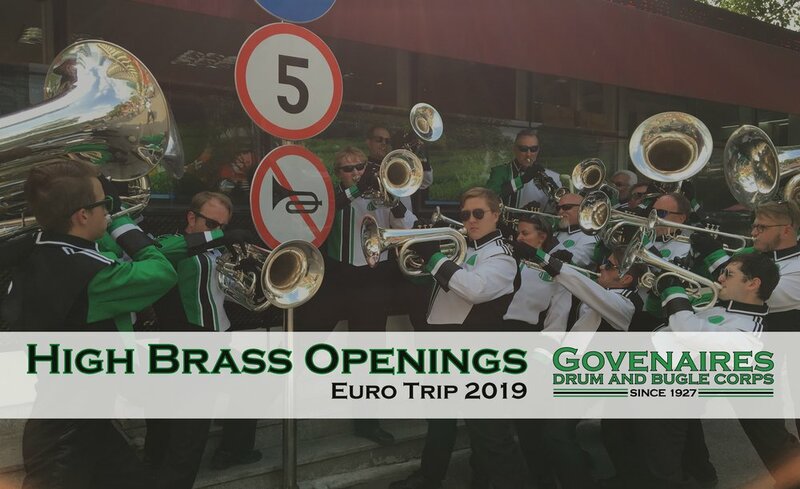 The Govenaires Drum and Bugle Corps is once again taking its unique style of music overseas, this time to Austria and Germany in June 2019. Govenaires International – the globe-trekking branch of the Govenaires Performing Arts Association (GPAA) – will take part on a nine-day trip that will span Frankfurt to Vienna. The group will perform throughout Austria, including a concert in the village of Obermarkersdorf and a parade performance at the Röschitz Musikfest. The performance in Röschitz is a part of a three-day festival showcasing competitive brass bands from all over Austria. We are thrilled to have the opportunity to experience the significant musical culture of Austria first-hand. The idea for the trip started with a chance meeting in 2016, during the Govenaires’ previous international trip to China for the Shanghai Tourism Festival. The Musikkapelle Obermarkersdorf band from Austria and the Govenaires both performed at the festival, and quickly formed a group-wide friendship. The Govenaires International contingent started rehearsals in November and continues to meet monthly. On June 8, the corps will give a dress rehearsal of their full international production at the Riverfest Parade in Windom, MN. Even though rehearsals are underway, there are still openings in the brass section, specifically trumpet, mellophone, and baritone. If you are interested, please reach out at join@govenaires.org. · Musikkapelle Obermarkersdorf for connecting us to the parade, helping with housing arrangements, and their overall guidance during the planning process. · Heartliner Drum and Bugle Corps from Ludwigshafen, Germany for assisting us with logistics and equipment. · Mapex Drums and Majestic Percussion for continued outstanding service to our organization. · Peter and Cindy Sanders for their support in preparations for departure. · Our fans all over the world. You are the reason we do what we do! For more information on the corps and updates on our 2019 trip, contact us at facebook.com/govenaires. Older PostCome to Our Home Show — The Drum Corps Expo — on August 18!